Bouas’ jaw dropped when Lee gave the first defendant, Anthony Ross, probation, the Los Angeles Times reported, and she choked up, wiping her eyes with tissue, as the hearing continued. Anthony was convicted of three counts of assault – two with hate-crime enhancements and two with enhancements for personally inflicting great bodily harm. Anthony’s 16-year-old sister, unnamed because of her age, was the only defendant arrested with blood on her clothing. Bouas sought probation camp for the minor, but judge Lee gave her home probation as well. 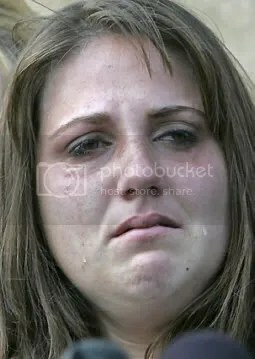 Bouas, weeping in court, charged Anthony’s twin sister, Antoinette, of directly causing Hyman’s injury’s. “That should have some weight with the court, I would guess, but I’m not sure anymore,” she said. Despite agreeing that “it was an awful crime, terrible physical and emotional injuries,” Lee said he had to “pick the least restrictive disposition” – a decision that has support among juvenile law experts. Penalties are to be increased only if initial discipline doesn’t work. “A tenet of the juvenile system is to give a graduated response to the child acting out,” said Cyn Yamashiro, a professor at Loyola Law School and director of its Center for Juvenile Law and Policy. “Juvenile Court is a joke,” said Barbara Schneider, mother of Laura, outside the Long Beach courthouse.